The Capital Research Center is excited to attend our first FreedomFest! We’ll be screening two of our films at the Anthem Film Festival and participating in two panels. We hope you can join us! 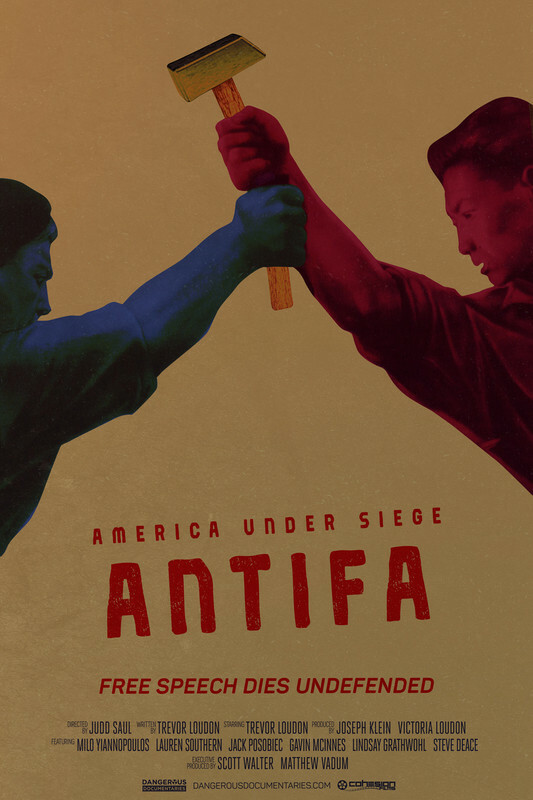 July 13th at 2pm we’ll be screening our short film America Under Siege: Antifa. The communist movement known as Antifa has caught the attention of the nation, gaining fame after the violence last year in Charlottesville, Virginia and Berkeley, California. Our documentary answers three critical questions: who is Antifa, why are they organizing, and what are their goals? With help from those whom Antifa has attacked, Trevor Loudon, an investigative researcher and author from New Zealand with 30 years of experience studying radical political movements, unveils the history, motives, and goals of the so-called “Antifascist” movement in America and around the world. Following the screening of America Under Siege: Antifa, please join us for a panel discussion titled “The Rise of Violence against Free Speech and Civil Rights” with the filmmakers and other free speech advocates. July 14th at 3pm we’ll be screening a work-in-progress cut of our feature film No Safe Spaces. Starring Adam Carolla and Dennis Prager, the film takes them to college campuses across the country, interviewing students and professors, comedians and commentators, and those who have been impacted by the silencing of different voices on campus, analyzing the value of so-called “safe-spaces.” The film also features noted free speech advocates from both sides of the aisle, including Jordan Peterson, Van Jones, Dave Rubin, Alan Dershowitz, Gregg Lukianoff, and Tim Allen. Following the screening of No Safe Spaces, please join us for a panel discussion with the filmmakers. The Capital Research Center was established in 1984 to examine how foundations, charities, and other nonprofits spend money and get involved in politics and advocacy, often spending money in ways that donors never intended and would find abhorrent. From the start, CRC has exposed how those organizations are often “captured” by interest groups and used to undermine Americans’ freedoms. Since then, we’ve expanded tremendously. Today, we study unions, environmentalist groups, and a wide variety of nonprofit and activist organizations. We also keep an eye on crony capitalists who seek to profit by taking advantage of government regulations and by getting their hands on taxpayers’ money. We investigate and expose every type of political influencer, with the goal of letting the American public know who is pushing for policies and ideas that subvert our liberties, and why they’re doing so. We also investigate the mechanisms by which influencers attempt to deceive us, publishing work on media bias and censorship of conservatives and libertarians. We’re not afraid to take on the Washington Establishment—Republican, Democrat, or anyone else. We do have a specific point of view. We believe in free markets, Constitutional government, and individual liberty. But facts are facts, and our journalists and researchers go where the facts lead them. We spread our work via multiple websites, a monthly magazine, op-eds in major publications, books, videos, podcasts, and films. We’re also a source of information for commentators and people in the news media. At InfluenceWatch.org we host an online encyclopedia that profiles public policy influencers. 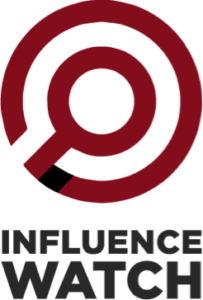 With thorough research and extensive citations, InfluenceWatch seeks to provide balanced information to inform journalists and academics about the realities of the groups influencing the news cycle. We also have the InfluenceWatch Podcast, which takes information from InfluenceWatch.org and uses it to explain who is behind the news of the week. Hosted by CRC President Scott Walter and InfluenceWatch.org Managing Editor Michael Watson, the podcast releases every Thursday as both audio on iTunes, Stitcher, and Google Play, and live streaming video on Facebook and YouTube. 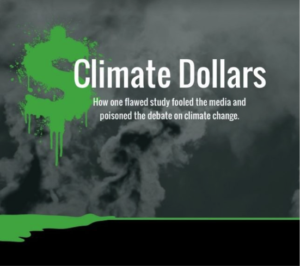 At ClimateDollars.org, we expose the truth about the money behind the public debate on climate change. Despite widely cited claims that a vast network of organizations are spending almost a billion dollars annually to “deny” climate change, our extensive database proves that left-wing groups spend massively more than right-wing groups on climate activism. In our monthly Capital Research Magazine and on CapitalResearch.org, we report on left-wing unions, environmentalist groups, foundations, and radical activist groups including Antifa. We promote charitable organizations making a difference in local communities in our “Doing Good” series, proving the welfare state is not the best way to aid the poor in. In our “Deception & Misdirection” series we profile those who actively mislead the American people to push a political agenda, and explain how they get away with it. Our well-known short-form animated videos release regularly on our social media pages and YouTube channel. These videos have over 8 million views to date and have been translated into numerous languages including Polish, Portuguese, and Nepali. Intended to inform younger audiences, these videos spread the basic facts on how left-wing influencers have misled the American public. We release our films under our Dangerous Documentaries brand. This includes No Safe Spaces and the America Under Siege series. In 2019, we will release a feature documentary biography of Jack Kemp and a new series titled The Politically Incorrect Guide based on the book series of the same name. Under our Center for Strategic Giving brand, we advise donors and foundations on how to ensure their money is used the way they intend. 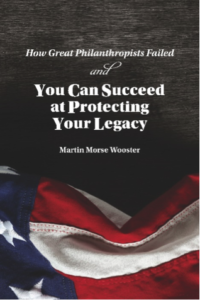 We published the book How Great Philanthropists Failed & How You Can Succeed at Protecting Your Legacy, which explains how influential foundations, such as the Ford Foundation, were captured by the Left against the wishes of their patrons. Though we’ve been around since 1984, CRC is growing faster than ever, and we’ll have many more exciting new projects on the horizon soon. We are the Capital Research Center, America’s investigative think tank. Previous StoryWhy Belize? Why Right Now?